On August 26th, The Temescal Telegraph Business Improvement District (TTBID) was pleased to announce the installation of four temporary rainbow crosswalks at 66th St. and Telegraph in partnership with Oakland Pride and The White Horse Bar, to enhance the safety and vibrancy of the area, honor the White Horse Bar’s historical and current significance for the LGBTQ community, and celebrate Oakland as a proud LGBTQ-friendly city. 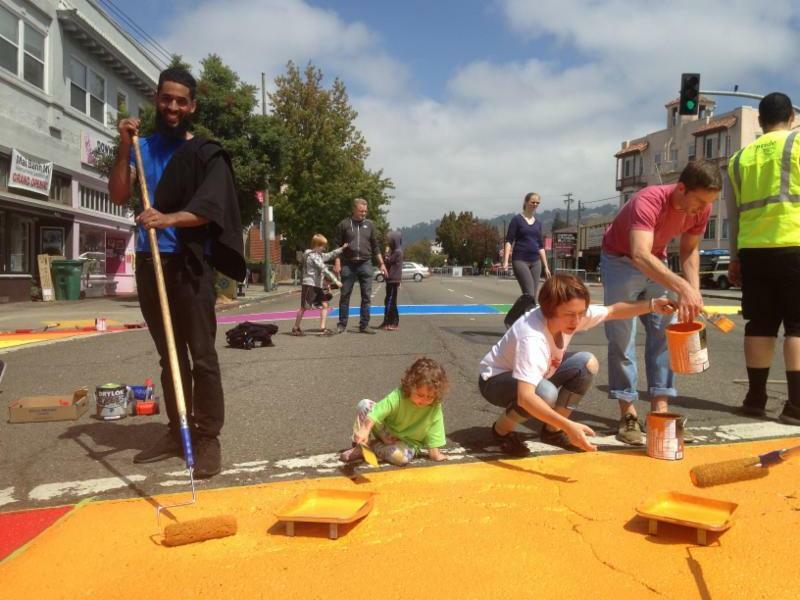 There was a diverse group of locals and families from all around the Bay Area who gathered at 9am on a Sunday morning, to volunteer to paint the first rainbow crosswalks in all of Oakland. Fueled by snacks, which were generously provided by White Horse Bar, the volunteers picked up their brushes and got to work, laying down the first coat of paint in under two hours. After applying the second coat of paint, the bright rainbow colors could easily be seen from a block away, bringing a vibrant focal point to the busy intersection. 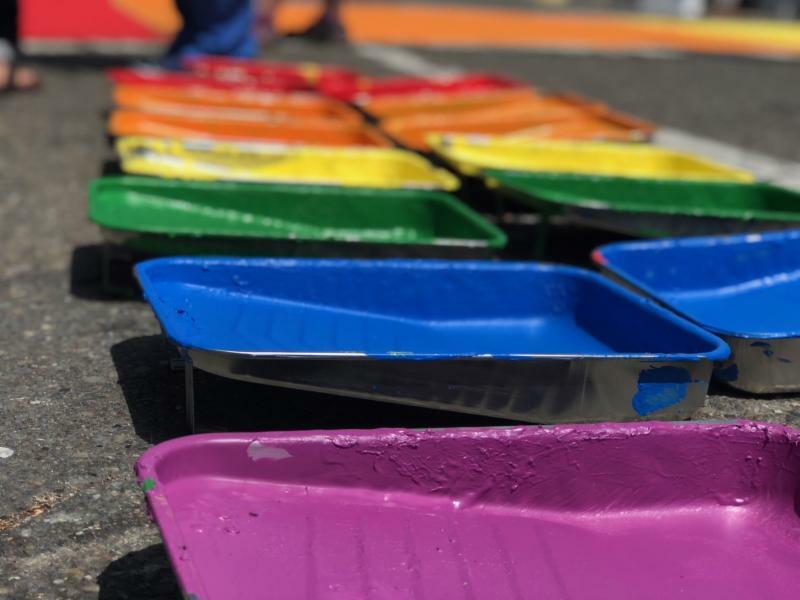 The volunteers were all smiles as the children played in the middle of the street and the bright summer sun dried the rainbow paint. The Temescal BID is proud to have been a part of this groundbreaking project and sends a very special thanks to all of those that were involved. Without the help of the wonderful community, extraordinary moments like this would not be possible. 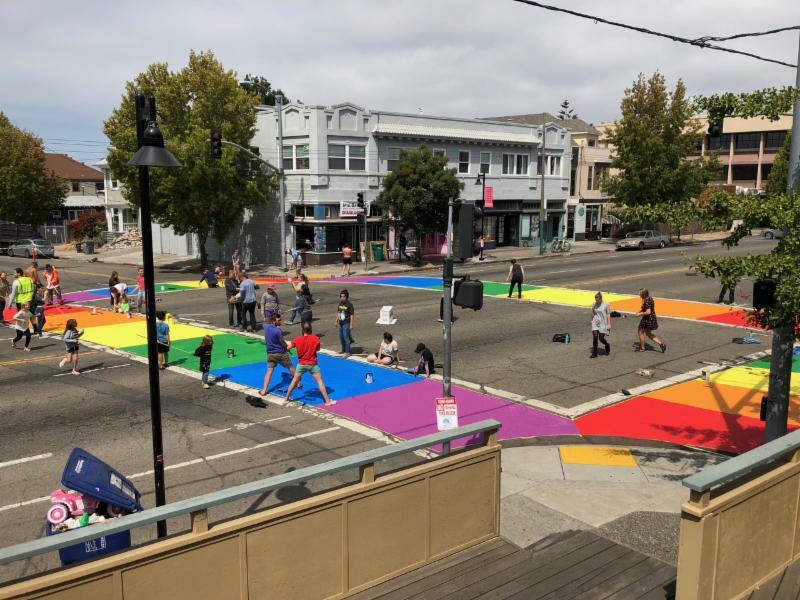 For those who were unable to participate this past Sunday, Oakland Pride is organizing another installation of a temporary rainbow crosswalk in Downtown Oakland at 20th and Broadway on Sunday, September 2nd at 8am. Previous Claflin, Thayer, & Co.